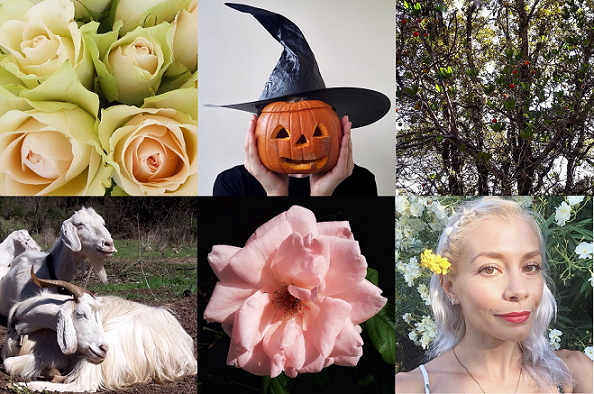 October, month of green sceneries and bright blooms as you can notice from my instagram profile, @insta_lilliness. Ma quanti scatti meravigliosi Lilli. Tu sempre bellissima. Sempre belle le tue foto dei fiori, quella del cono gelato è il top! I always love when you post flower photos because you always manage to find some of the prettiest flowers around Lilli! That flower cone is and gorgeous and adorable at the same time. Happy weekend my friend! Bellissimi scatti, il primo outfit lo adoro! Your October looks like September; everything still blossoming and sunny. My October was a bit tiring I have to say but now it's my birthday month and in a few weeks I will be travelling somewhere warm again, so all is good! Have a great weekend. October was full with flowers for you. In real and at your clothes. And Anouk is right, your pictures doesn't look like autumn. October was also in Germany warm and colorful. I like the color of that month too. Hi Lilli, I love your new look, you feel great, I love flowers just as much as you see them I'm glad the soul, it seems that October was full of beautiful things. Kisses.